away. It was pigmented and blended beautifully well. I'm not sure why but I just kept putting off getting a full palette. There was just always something else that I'd pick up instead. 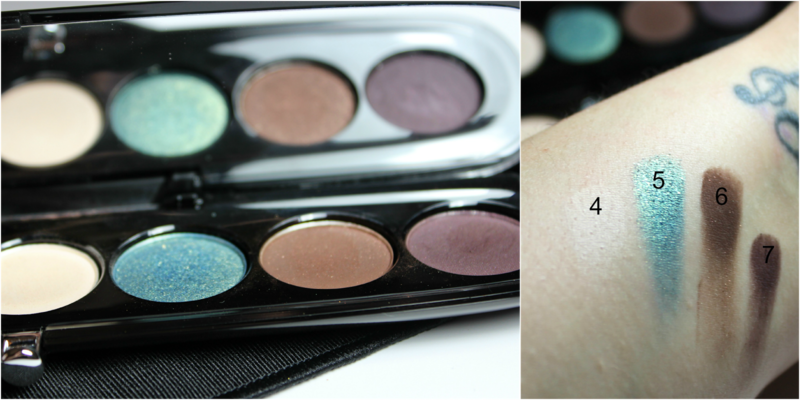 My blogging friend, Julie, from Collective Beauty, has done several beautiful post on her Marc Jacobs palettes (here's her latest one) and I wanted one every time she spoke about it. An order was made and here it is! I looked at tons of swatches on line of this palette, from Sephora and other bloggers; to be honest, none of them looked like the colors do in person. I tried my very best to capture the Night Owl properly. The textures are so smooth and buttery. 1,3, and 5 are shimmer shades. 2, 6 and 7 are semi-matte with glitter/shimmer running through them. 4 is Matte with a slight bit of pearl to it. This palette could work for summer night or day looks really well and I absolutely love 5! 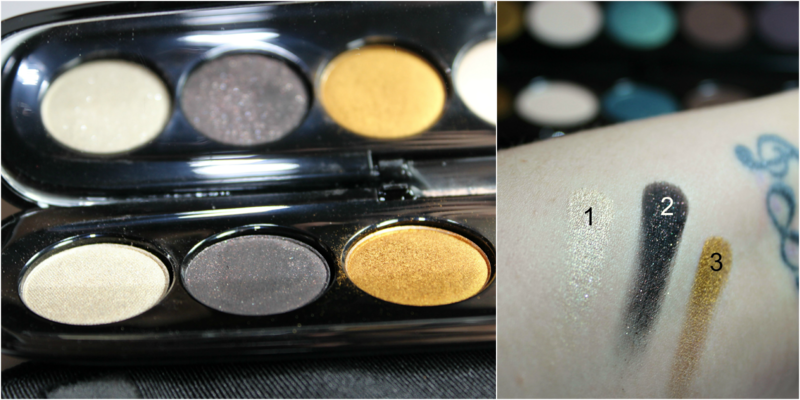 So often colors look like that in pan and look totally different when swatched. But no, it looks just as nice. The only color I wasn't wowed by is 1 as it doesn't go onto the brush as intensely as it swatches and there is some glitter fall out because of it. formula that looks true to pan. I would totally buy another palette from the Marc Jacobs Beauty range and would recommend them to anyone in the market for a really nice palette. Do you have any Marc Jacobs makeup that is a must try? Tell me in the comments!